This page is also available as a public Google Doc, which anyone can File > Download As to modify as desired. Speak with your advisor about your academic goals, and if you need to change courses, request to have your “registration hold” released. 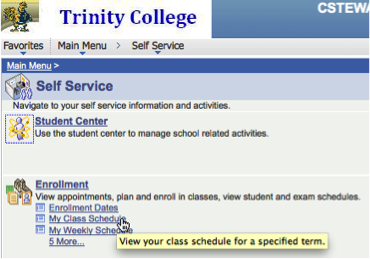 Go to your Trinity portal (http://my.trincoll.edu) to view the online course catalog, course schedule, and current enrollments. 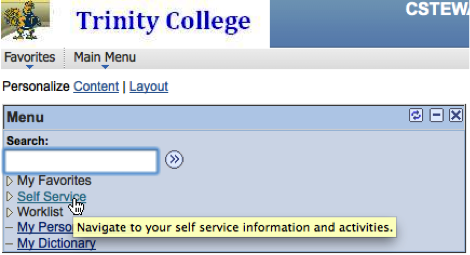 Change your courses at http://tconline.trincoll.edu (on campus, just type tconline) and log in with your Trinity username and password (same as email). 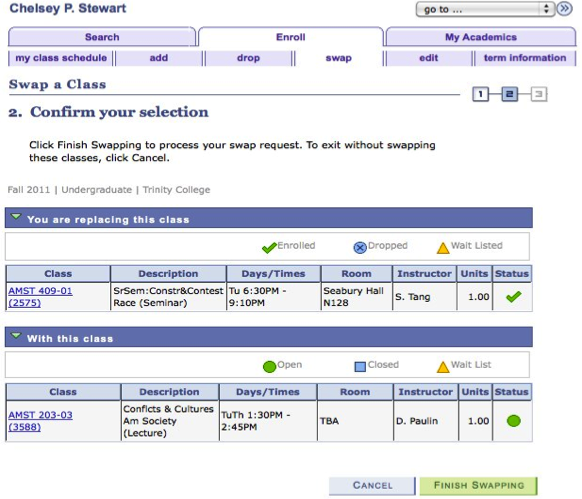 View “My class schedule” or choose one of these options: add, drop, or swap a course. 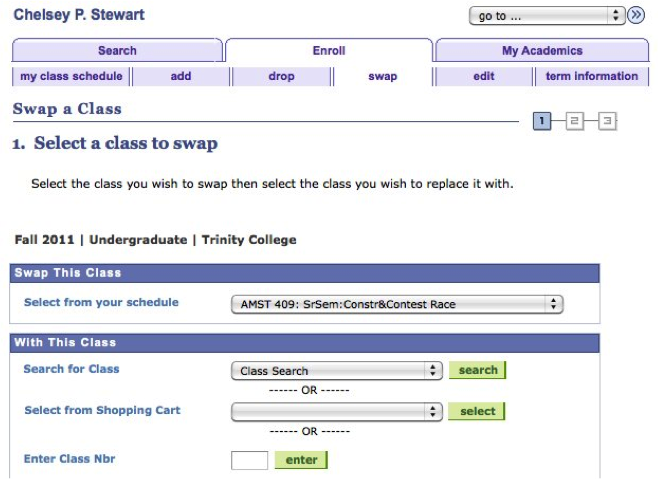 Use “swap” to enroll in a new course, without losing place in your current course in case the new course fills up. Click the “search” button to select a new course.